Place a small candle inside to light up your fairy garden. Reproduced from an antique German tea set. 13 pieces range in size from 2" to 3/4". For decorative use in your primitive settings. May place a candle inside for the light to shine through star cutouts. 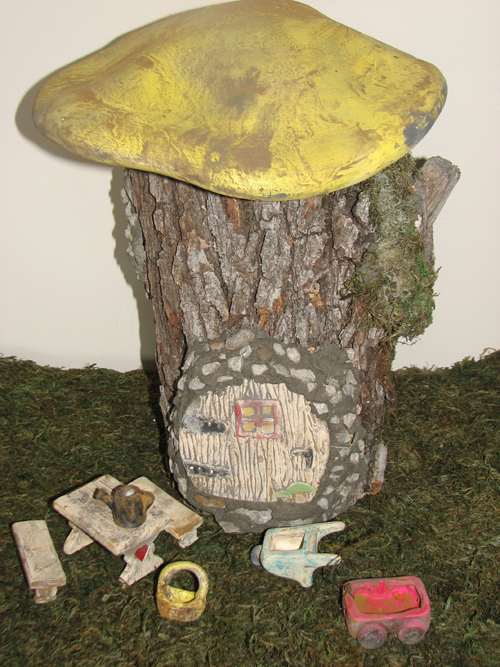 11"X9"
Note: Tree stump is not available for purchase but easy to find your own and make this fun fairy house complete with our door and mushroom top!